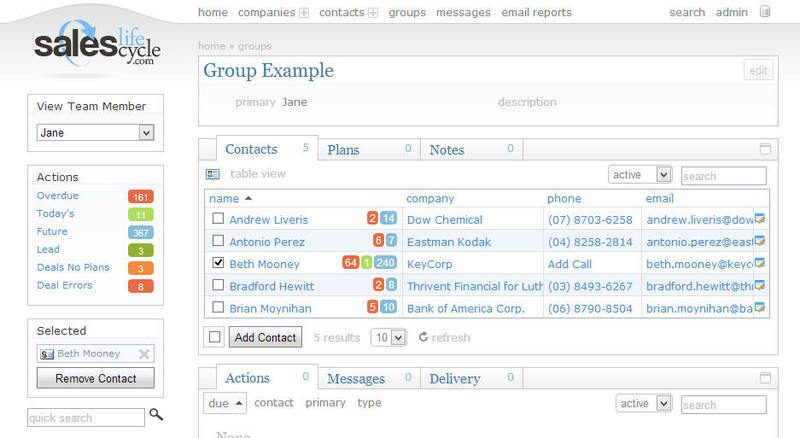 The quickest way to remove a contact from a group is to go to the contact or company in question and open the Group Tab. On the Group Tab click on the [x] link to remove this contact from the Group. Another option is to go to the Group page and select the contacts you wish to remove and then use the LHS option to remove the selected contacts.